Master of One Part V: @ChadAHolloway talks with Men "The Master" Nguyen about the Poker Hall of Fame. This is the fifth and final article in PokerNews’ Master of One series on Men “The Master” Nguyen. 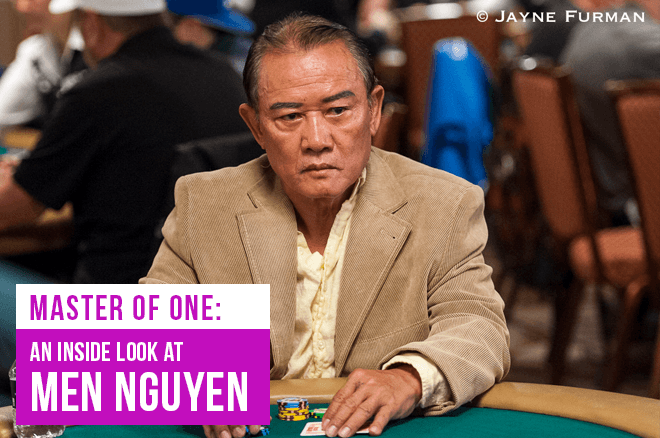 Click here to read earlier parts that address Nguyen’s past, present, and the controversies surrounding the seven-time WSOP bracelet winner. 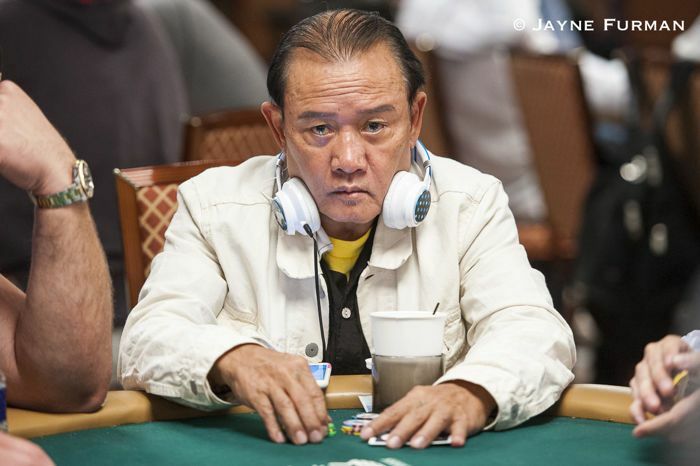 Did you know Men “The Master” Nguyen has only been nominated for the Poker Hall of Fame once? It was back in 2009, the year Mike Sexton got in. Since then, his name hasn’t been bantered around much despite having one of the most impressive résumés in the game. If you go by the numbers, Men Nguyen has had a PHoF-worthy career. He has won nearly 100 tournaments, sits just under $11 million in lifetime earnings, has four Card Player Magazine POY titles, four WSOP Circuit rings, and of course seven gold bracelets (only six players have more than him, and they’re all in the PHoF). On paper, Nguyen’s résumé is more comprehensive than recent inductees like Todd Brunson, David “Devilfish” Ulliott, and John Hennigan. That’s not to say they don’t deserve their place in the PHoF, because they do, but it does go to show you Nguyen being nominated only once in the past decade is a bit curious. Men \"The Master\" Nguyen competing in the WSOP. Nguyen once had high hopes of induction into the Poker Hall of Fame, but after his life got turned upside down, he’s come to the harsh realization that it’s probably not in the cards. “If I die, for sure they’re going to put me in the Hall of Fame because I’m gone." He also realizes that much of it is politics. To get nominated for the Poker Hall of Fame, first; one has to have their name submitted by fans online. Nguyen doesn’t have as many of those as he used to. Even if he did, he would then need votes from both the media and living PHoF members to get in. His relationships in both categories are weak, unlike the first Vietnamese player to ever get in. 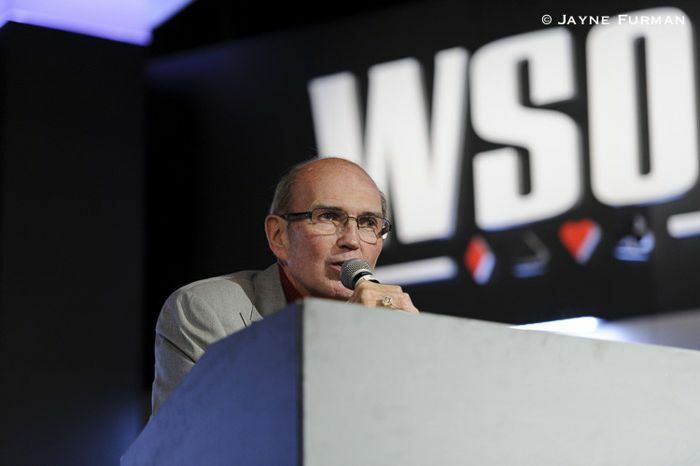 Men also attribute his slim chances to a contentious relationship with WSOP officials, most notably Jack Effel. If Men were to one day get into the PHoF, he imagines it’ll be when he’s dead and gone. Nguyen’s chances of getting into the PHoF may not be quite as low as he thinks. While his past behavior is certainly a big hurdle, his accomplishments do seem to resonate with many who matter including several members of the PHoF. Negreanu on Nguyen: “I do think he should be nominated based on his resume." Legendary tournament director Jack McClelland, who was also inducted into the PHoF in 2014, echoed those sentiments. I asked McClelland if he had any examples of the behavior he was alluding to. At the beginning of my adventure with Men Nguyen, I wondered what exactly he’s the master of these days. He hadn’t been winning, his stable of students was gone, and for years he was largely irrelevant. Little did I know his family life had fallen down around him and as a result, his game suffered. Now, on the other side of many of his trials and tribulations, it seems Nguyen has come out a different, if not better, man. While he still makes his fair share of mistakes, it appears he’s at least trying to learn from his past. At one time he was the master of many, nowadays he’s simply a master of one.